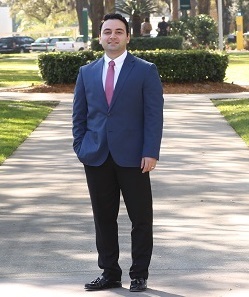 Meet Dr. Kaveh Baharvand, who is enrolled in the Brooks Rehabilitation College of Healthcare Sciences School of Orthodontics’ Advanced Specialty Education Program in Orthodontics and Dentofacial Orthopedics/Master of Science in Dentistry, as well as the MS in Organizational Leadership through the Davis College of Business. Please describe your educational background, including your undergraduate and graduate degrees. I used to live in Hungary, where there is no college in between the high school and the university. I attended my first dental school at Debrecen University and graduated as a valedictorian when I was only 22. Thereafter, I attended my second round of dental school at Boston University. Why did you choose JU’s programs? 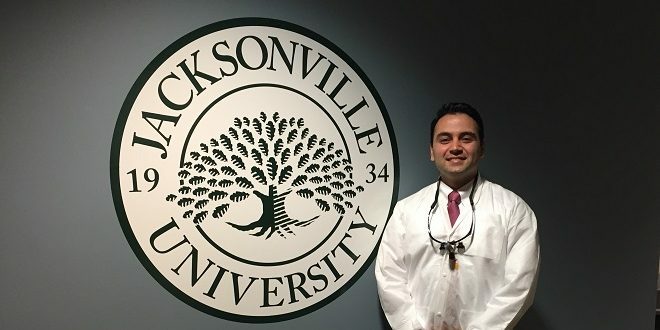 It was a combination of many factors; the unmatched clinical exposure, shorter program duration, and the warm Southern style of living were probably the original reasons I chose JU School of Orthodontics. After some research, I realized that the Davis College of Business (DCOB) is only a few yards from my orthodontic program. This was ideal for me since I always wanted to learn more about leadership and business. What do you like best about the programs? In my orthodontic program, I am exposed to a wide range of patients and conditions under the supervision of a diverse group of seasoned orthodontists. JU orthodontics has given me the knowledge and the confidence to diagnose and treat different malocclusions while keeping the patients and their families’ best interests in mind. Right around the corner, the MSOL program provided me a unique opportunity to learn something outside the scope of dentistry and meet people with different mindsets. The MSOL program at DCOB is certainly one of the best decisions I have ever made. What made you choose to pursue a career in orthodontics? The extent of change orthodontics can make in an individual’s life is invaluable. A confident smile is an asset one may carry for a lifetime. I chose to give back to my community by designing their smiles. My son was born in November 2016. Foremost, I would like to be a good father for my son, a worthy husband to my wife and, last but not least, to establish an evidence-based orthodontic practice to serve my community. I am hoping to pursue opportunities in both academia and the private orthodontic environment. I also look forward to using the leadership skills I acquired at JU to reach my goals. For more about the JU School of Orthodontics, visit ju.edu/chs/orthodontics.